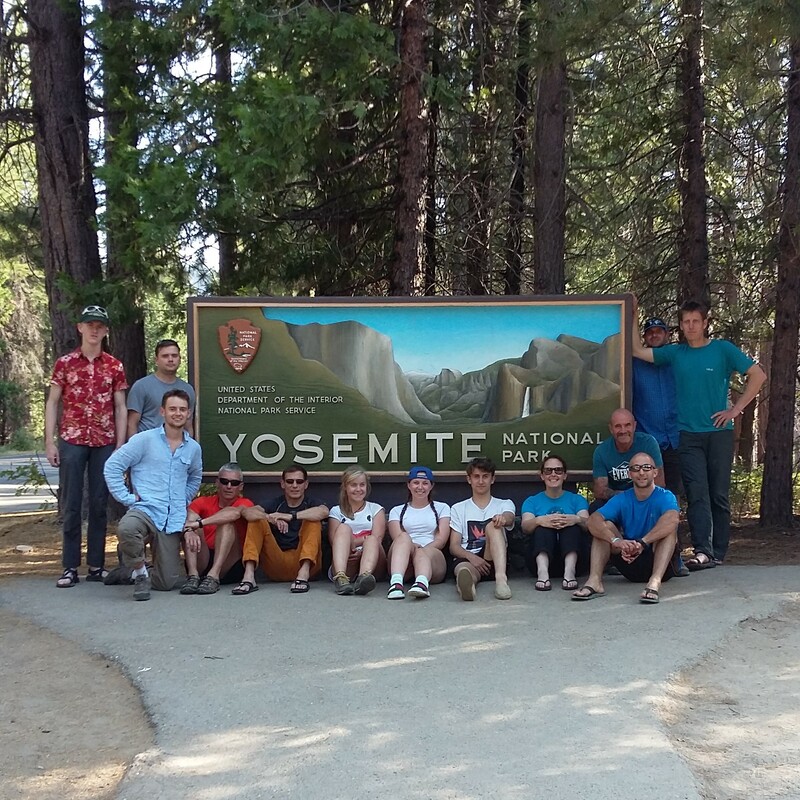 It was very much a trip of two halves, with the first week based at Hodgson Meadows campground, just inside the Yosemite park boundary. 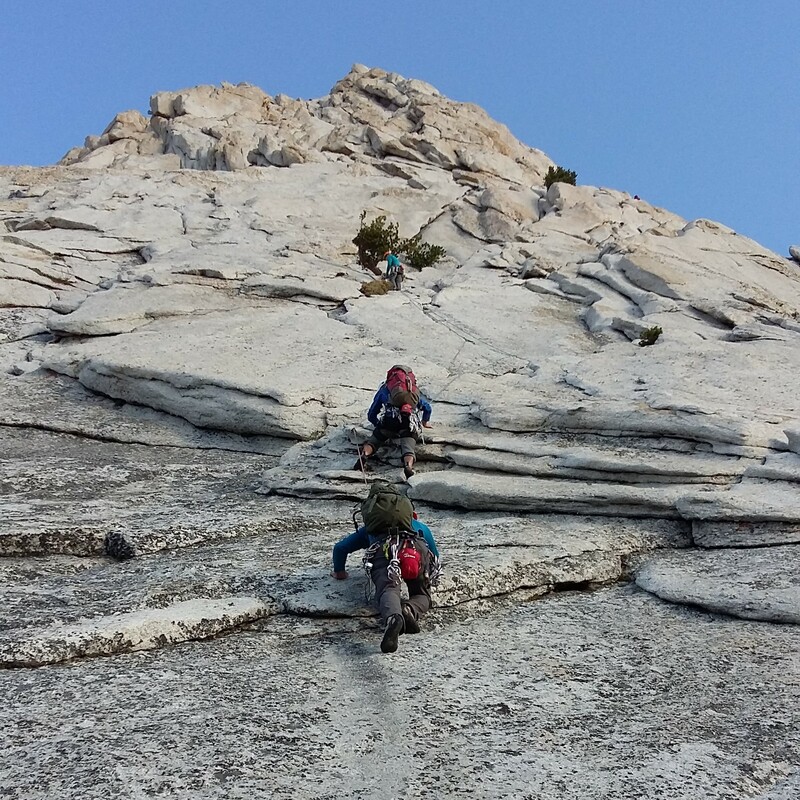 The team of 5 cadets, 5 adult volunteers and 5 instructors used this as a base to explore the climbing in the Tuolumne meadows area. 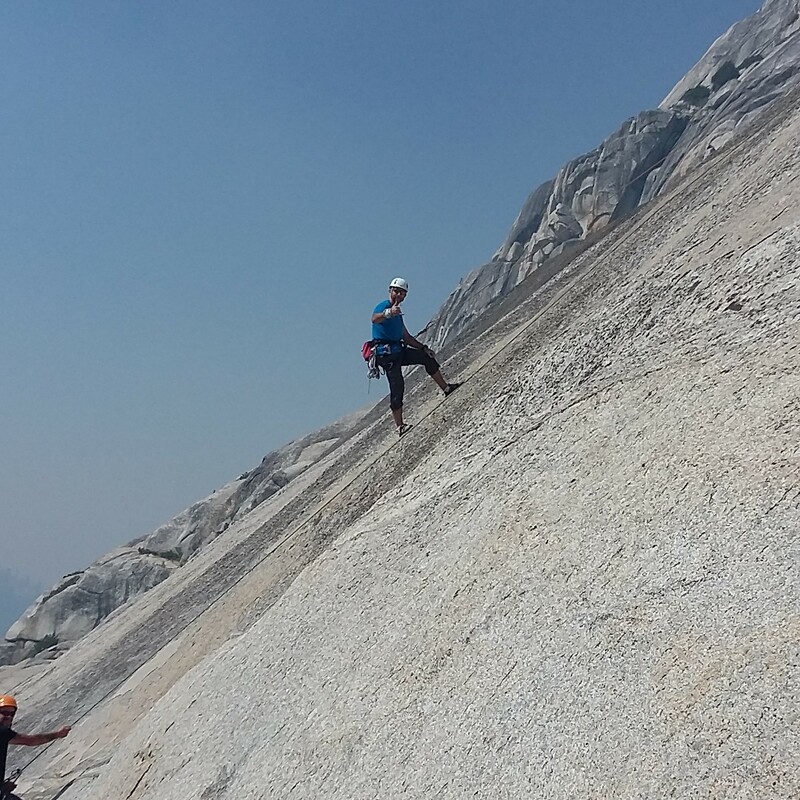 The scenery up here is breathtaking, with a series of granite domes offering accessible multi-pitch climbs and larger ‘alpine’ type peaks requiring full mountain days for an ascent. All of this set in a stunning landscape of pine forest, rivers and lakes. 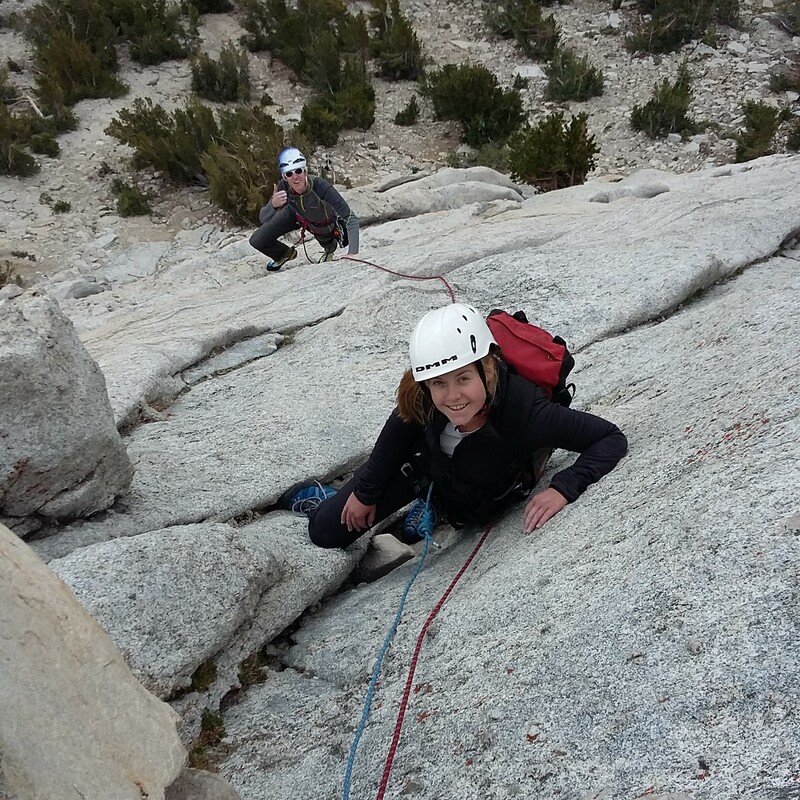 We had quite a lot to adjust to; firstly there was the climbing style, with Tuolumne offering delicate (and sometimes ‘run-out’) slab climbing where good footwork is essential. This proved a useful foundation, and it was noticeable how much more confident the students were by the end of the trip. 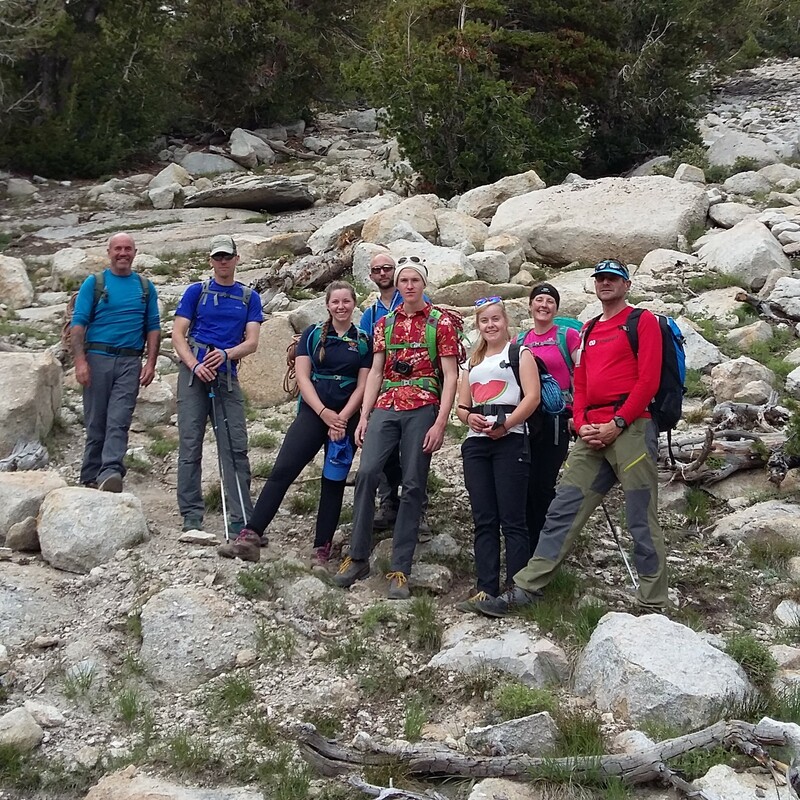 The altitude also took some adjusting to, we were operating between 8000 & 11000’ in Tuolumne and had to allow time to acclimatize; initially we all noticed how out of breath we were just walking up to the bottom of a roadside crag! Finally, there was the heat; this was a bit of a shock after UK temperatures. Consequently, there was much perusal of guidebooks and maps to try and work out where you could climb in the shade. We soon slipped in to a happy routine of early starts so that we could get off the routes before the worst of the heat. This had the added benefit of being first at the crag, so we had our pick of the routes and did not need to queue on the more popular lines. Once off the route, often feeling hot and sweaty, we would stop at lake Tenaya for a ‘bracing’ swim on the way home. This was a chance to wash and was great for morale as our campsite only had basic facilities; it was lovely to head back to the tents feeling clean! 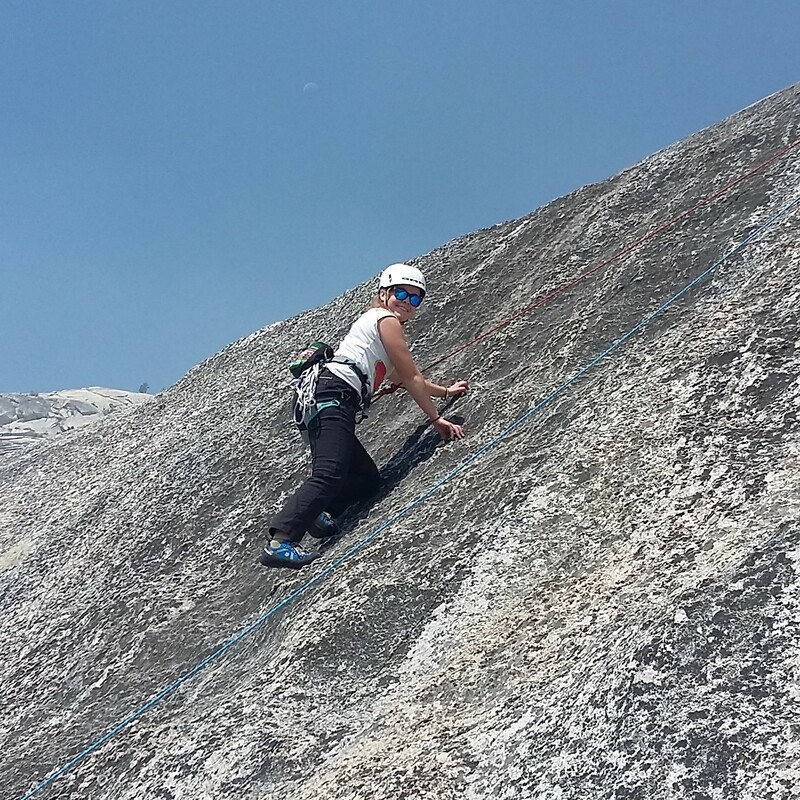 As the week progressed, we enjoyed exploring new venues and progressing to longer, more challenging, routes. 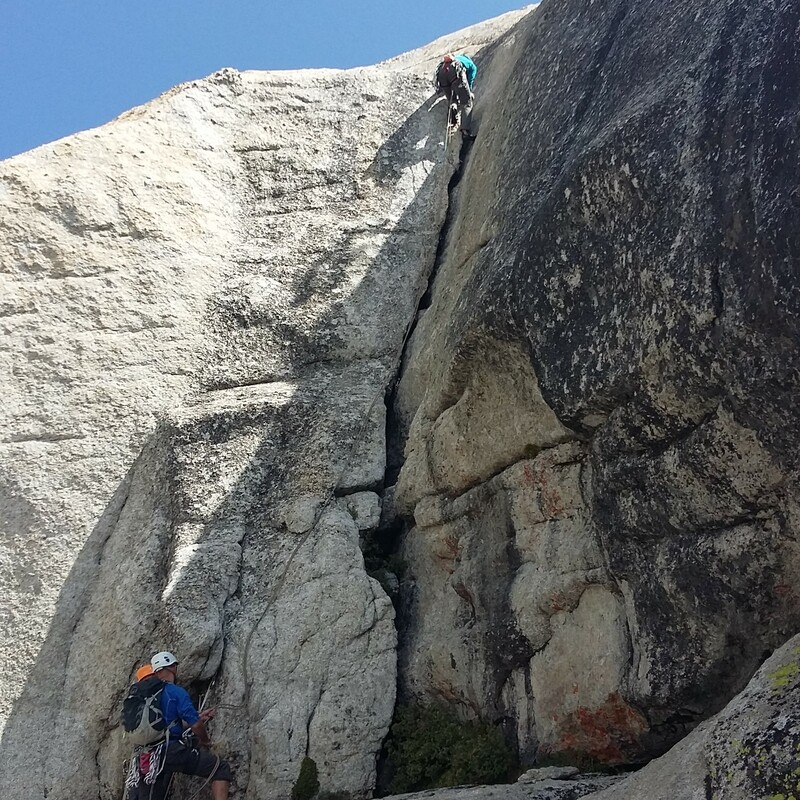 We had big mountain days with ascents of the SW buttress of Cathedral Peak and the NW ridge of Tenaya peak. This required a 4am start, forested approaches, lots of climbing and lengthy/complex descents; making for memorable experiences. Other venues, such as Dozier Dome (bear sighting! ), with high quality 3-4 pitch routes and a beautiful walk off beside a waterfall, also made an impression. We used this time to develop essential techniques, such as lay-backing flakes and climbing off-width/finger cracks. You come across these in the UK, but they do not go on for so long! The instructors certainly found themselves using plenty of camming devices, essential protection when lead climbing in Yosemite. 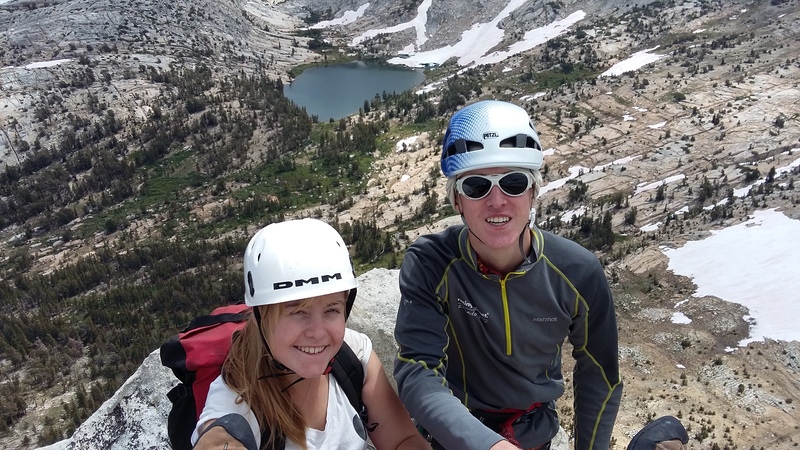 The scale and beauty of Tuolumne had a big impact on the team, and we all appreciated quiet moments where we could just sit and absorb the vista before us. The second ‘phase’ of the expedition saw us move from the campsite to a bunkhouse just down the road. We certainly appreciated having access to showers, flushing toilets and a fridge (all our food had been stored in ‘bear bins’ at the campsite). The washing machine also got a hammering as we laundered clothing impregnated with a weeks worth of dust! 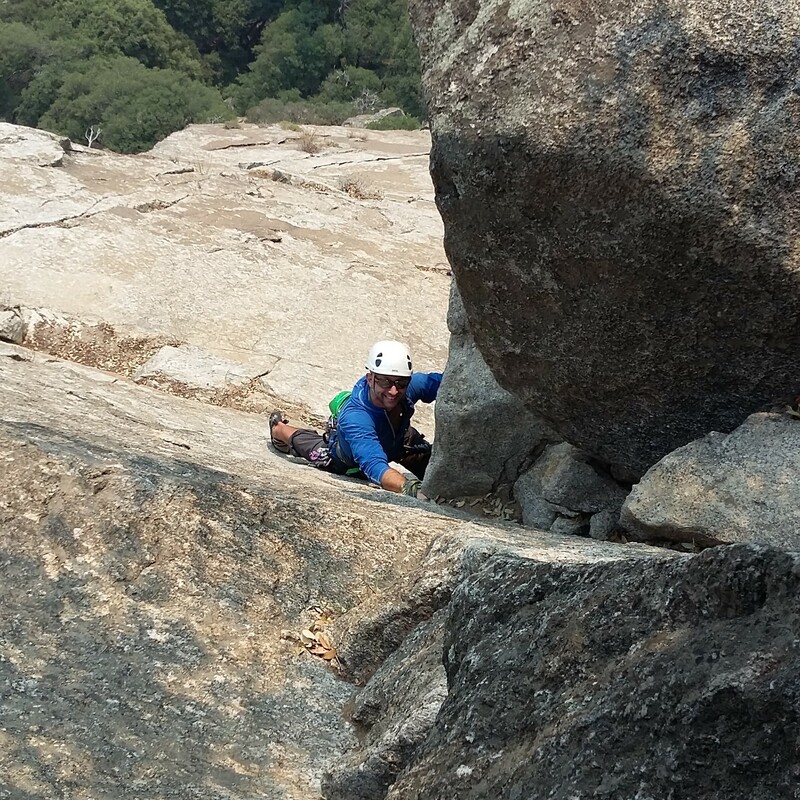 For this second week, we took a ‘deep breath’ and launched ourselves into the joys of the Yosemite valley climbing. Broadly speaking, this is steeper and has less friction than the Tuolumne climbs, so it requires a change of mental approach. However, with a week’s worth of climbing under our belts, and careful venue selection, we made this work. By now the rope-work and stance management was getting pretty slick, so we progressed by moving onto harder routes or giving students opportunities to ‘lead’ routes themselves. The latter being a bit of a ‘reality check’ for those who had been happy on the back end of the rope! 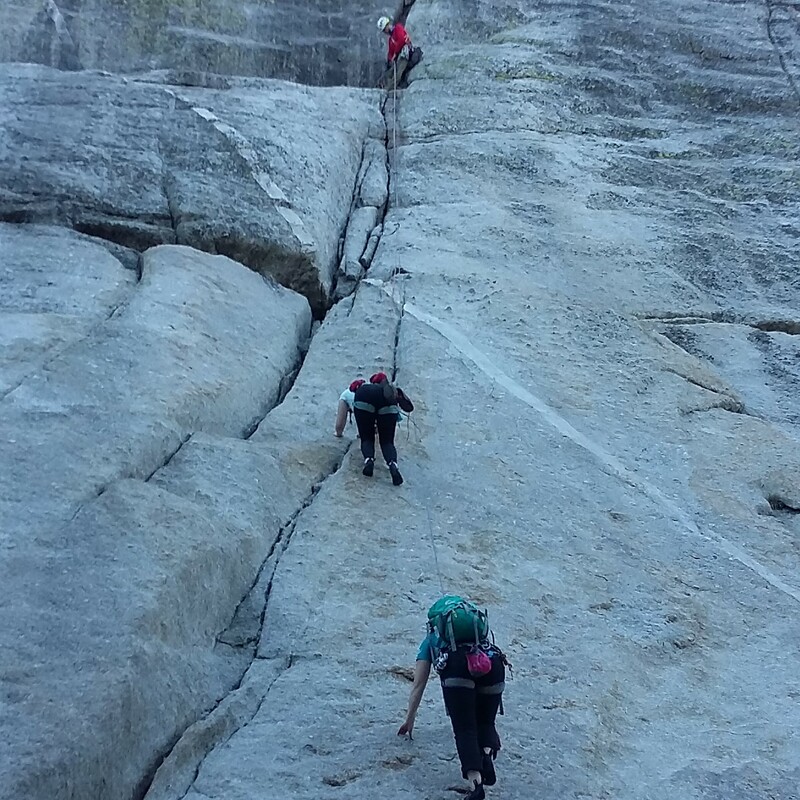 We really enjoyed the variety and quality of the climbing venues in Yosemite valley, and picked off lots of 4* and 5* classic routes. We continued our routine of early starts, allowing us to be first on the routes. The heat, however, was much more intense here (4000’ lower than Tuolumne) so staying hydrated became critical. Routes with shaded corners or trees at stances were much appreciated! During this phase, we took a break from climbing and spent a day hiking the Mist Valley trail. As well as affording amazing views of the valley it was a chance to ‘switch-off’ and relax, spend time together as one group (instead of small climbing teams), and have some quiet time to enjoy our surroundings as well as the breath taking waterfalls. What more could you ask from an expedition? Two memorable weeks of varied and challenging climbing and 10 cadets and adult volunteers taking all that enthusiasm and learning home to inspire and motivate others.